Life is full of ups and downs and e-Commerce world is not an exeption. The shocking news about Magento Go discontinue has proved it once again and forced many e-merchants to search for a new platform. So, the shop owners are considering different alternatives to make their business move forward and expand. 3dcart appears to be a great choice if you are looking for easy management tools and web-design capabilities. It is an all-in-one e-Commerce solution that has plans for retailers of any size. Their prices are one of the lowest for a shopping cart of this scale offering a killing set of features. So, many businessmen decide to migrate from Magento Go to 3dcart. Additionally, 3dcart is one of the most reliable platforms with large experience on the e-Commerce market, as it was founded in 1997. And today this shopping cart is used by more than 17 500 e-stores. So, what are the core roots, that make customers benefit from using this solution? Ease of use. Its dashboard is really easy to navigate and allows quickly to access the most important areas of the shop. Moreover, inventory management is pretty straightforward as well. SEO and marketing tools. The platform provides you with necessary instruments helping to sell more and more products. There is an opportunity to send newsletters, offer reward points to the clients and many others. Furthermore, all plans come with the opportunity to sell the goods and services on Facebook. Payment processors. The solution offers access to more than 100 different payment gateways, such as PayPal Express, Checkout by Amazon, BitCoins, Dwolla, Stripe, etc. So, all of the clients will find the most comfortable way of payment. Customer support. 3dcart is famous for its excellent phone 24/7 support, as well as e-mail and live chat. At any time on every question, you will receive a professional advice to solve the issue. If you are still on the fence, check the prezi for your better convenience and find out more about the most comfortable way to switch from Magento Go to 3dcart. 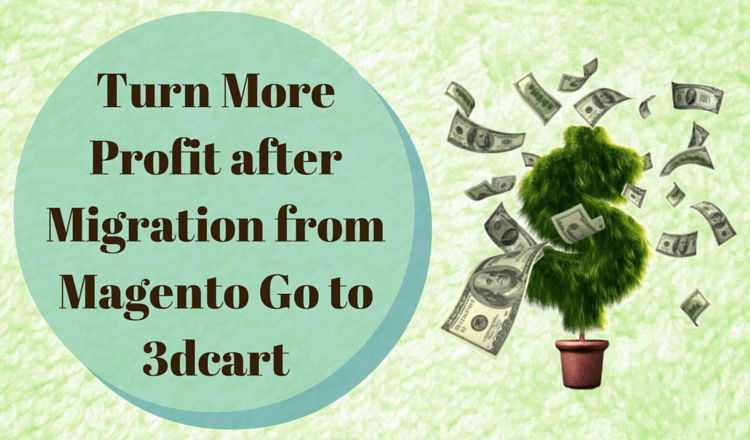 Now, you know about the fastest and easiest way of migration from Magento Go to 3dcart. So, don’t wait up, be ahead of your competitors and register a Cart2Cart account right away!